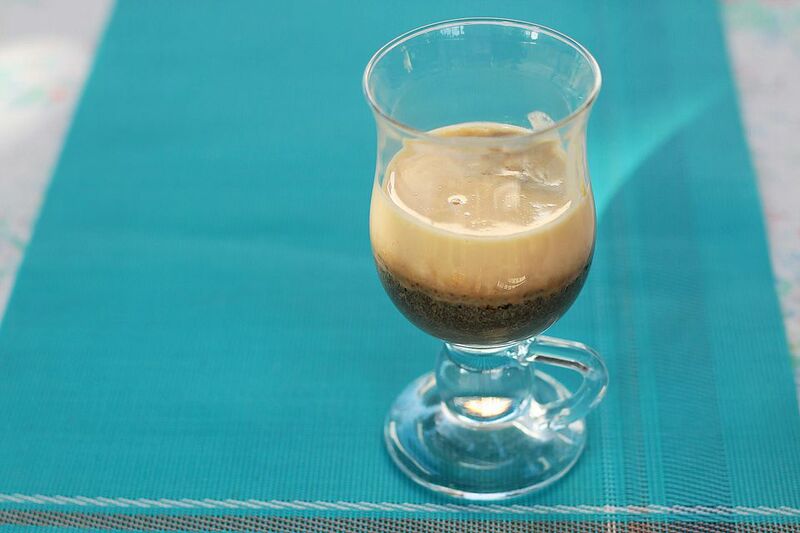 Vietnamese style coffee is sweet because the strong dark brew's natural partner is sweetened condensed milk. It probably won't elicit your interest if you're among those who think that the only way to drink coffee is to take it black -- but wait 'till you try Vietnamese egg coffee. The Scandinavian region has its own egg coffee although the preparation is very much different. Vietnamese egg coffee is strong black coffee topped with egg yolk and sweetened condensed milk that had been whipped together until thickened. It's really quite a unique experience, this Vietnamese egg coffee -- almost like drinking coffee and custard together. Just like all other Vietnamese coffee concoctions, the egg coffee starts with a strong, black brew made with a phin filter (cà phê phin). There is also a special coffee blend used which, by and large, is produced by Trung Nguyen. If you're not aiming for complete authenticity but merely want to indulge in the custard-over-coffee experience, you can brew coffee the way you usually do and simply top it with the egg-milk mixture. Pour your very hot and freshly brewed coffee into a mug. Pour the egg-milk mixture slowly over the coffee. The result will, at first, look like a homogenous mocha colored drink but wait a few seconds and the egg-milk mixture will float on top of the coffee without you having to do anything. You can drink the coffee from the mug or use a dessert teaspoon to enjoy it more slowly. Either way, it's good.